Since ascending to the throne in 1952, the monarch has seen 13 Prime Ministers serve Britain, and lived through another 12 US presidents (with number 13 on the way). She's now 90. At some point — not for many years yet, we hope — Queen Elizabeth II's reign will come to an end. For at least 12 days — between her passing, the funeral and beyond — Britain will grind to a halt. It'll cost the British economy billions in lost earnings due to the chaos. The stock markets and banks will likely close. And both the funeral and the subsequent coronation will become formal national holidays, each with an estimated economic hit to GDP of between £1.2 and £6 billion, to say nothing of organisational costs. But to focus on the financial disruption doesn't begin to describe the sheer magnitude of it. It will be an event unlike anything Britain has seen since the end of the Second World War. There will be trivial disruptions — the BBC will cancel all comedy shows, for example — and jarring cultural changes. Prince Charles may change his name, for instance, and the words of the national anthem will be changed, too. The British Commonwealth might even unravel completely. The deaths of Princess Diana and the Queen Mother both brought on waves of public mourning and hysteria. But the Queen, due to her longevity and fundamental place atop British society, will be on a whole new level above that. The vast majority of British people have simply never known life without the Queen. It will be a strange, uncertain time. Much depends on the manner of the Queen's passing. If it is expected (from a long illness, say), then detailed plans will have been put in place for handling it and making the announcement. These plans are already being made: Inside Buckingham Palace, arrangements for after the Queen's passing and the subsequent succession are known as the "Bridge." But if it's sudden, unexpected, or even in public — as was the case with Princess Diana's death in 1997 — then the news will get out immediately, in an unplanned, uncontrolled fashion. Either way, the majority of staff at the Palace and associated institutions will be immediately sent home. (According to The Daily Beast, if it happens overnight, it will be announced at 8 a.m.) The Royal Court has a staff hotline for distributing news and instructions to employees in the event of occasions like this. Many of the details in this story were provided to Business Insider by a former staff member of the Palace. Assuming the Queen's passing was expected, the news will spread at first via the main TV channels. All BBC channels will stop their programming and show the BBC1 feed for the announcement. The other independent channels won't be obligated to interrupt their regular programming. But they almost certainly will. At the BBC, anchors actively practice for the eventuality of the Monarch's passing so they won't be caught unaware on their shifts. The BBC's Peter Sissons was heavily criticised for wearing a red tie to announce the Queen Mother's passing (as seen above), and the BBC now keeps black ties and suits at the ready at all times. Presenters also run drills in which they're required to make sudden "spoof" announcements that are never broadcast. In 2015, a BBC journalist tweeted that the Queen had died (on the same day she was visiting hospital, no less) after not realising a rehearsal was going on — with the "news" subsequently being picked up by foreign news outlets. "A journalist working for the BBC's language services, who had not been sent the email [informing staff about the rehearsal], saw an internal TV monitor which was showing the rehearsal," the BBC Trust said. "A number of tweets were sent from her Twitter account. The first stated that the Queen was being treated in hospital, the second stated that the Queen had died; the tweets included a link to BBC World's official Twitter feed." The last death of a Monarch was in 1952, and the BBC stopped all comedy for a set period of mourning after the announcement was made. The Daily Mail reports that the BBC plans to do the same again today, cancelling all comedy until after the funeral. CNN has pre-recorded packages on the Queen's life ready to be aired at a moment's notice, we're told — and so will every other major news channel. The London Stock Exchange will likely close if the announcement happens during working hours, and other businesses may too. The protocols government bodies will follow will emanate from the Department of Culture, Media and Sport (though they may also originate from the Palace). But the immediate government response beyond official statements of condolences will be hard to predict, the former palace employee we spoke to said. The last monarch died in 1952; procedures that seemed apt then may be woefully antiquated in the twenty-first century. Mourners wore black armbands to show respect for George VI, for example, but would similar public displays of mourning be employed today? It's impossible to know until it happens. Flags will be flown at half-mast until 8 a.m. the day after the funeral, according to guidance from the Greater London Lieutenancy, with the exception of Proclamation Day (more on that shortly). Churches may also toll their bells — either on the day of the death, or the day after. Whatever happens formally, the shock on the day of the Queen's passing will see Britain effectively cease to function. The day of the funeral, around two weeks later, will be declared a bank holiday, but "shell-shocked" mourning will continue throughout this time. Given the Queen's international significance, it will almost certainly be the top news story across the entire world. It will trend globally on social media. After all, Britain has a massive overseas presence — not just via its embassies, but also former colonies and the Commonwealth, which swears loyalty to the crown, and more informally in any country where English is spoken. The British Empire once covered a quarter of the earth's landmass and for a brief, surreal period it will feel as if the Empire still exists, as all its former subjects will turn toward Britain for the news. A former ambassador we spoke to said what will happen overseas depends on the manner of the Queen's passing. If it has been long-expected, there will be detailed plans and procedures in place. If it's sudden, overseas posts will look to the Foreign Office for urgent guidance. A few things will definitely happen overseas: Social functions will be cancelled. The Union Jack flag will be flown at half-mast until after the funeral (this will also happen at home in the UK). Officials will enter a period of mourning, and dress appropriately. Condolence books will be prepared for visitors to leave messages in. But the ambassador also stressed there is a massive amount of uncertainty as to what will actually happen. It has been more than 60 years since the last monarch died. Society has changed a huge amount in that time. We're getting ahead of ourselves, however. What will happen inside the Palace? Once the majority of the staff are out the way and the public tourist attractions are closed, an Accession Council will be held at St. James's Palace to declare the successor formally — Prince Charles, barring any unforeseen circumstances. The Accession Council will be attended by Privy Councillors, Lords, the Lord Mayor of the City of London, and High Commissioners of certain Commonwealth countries, amongst others. This council is not required to make Queen Elizabeth II's successor "official" however — Charles will become the monarch from the moment of her passing. There is never not a Sovereign on the throne. This is also why the the Royal Standard is never flown at half-mast (unlike the Union Jack). It's also worth discussing the possibility of the crown "leapfrogging" Charles in favour of his son, Prince William — a possibility that has been discussed in the media repeatedly. This would cause a constitutional crisis, and definitely will not happen. Prince William himself has said there is "no question" of it happening. Instead, Prince William will become the new Prince of Wales — Charles' current role. After all, Charles has waited and prepared for this job for his entire life. And his mother's longevity means that he's no long young either — he will be at least 68 when he takes the throne, past the British age of retirement. "Impatient? Me? What a thing to suggest! Yes of course I am," he said in 2012. "I'll run out of time soon. I shall have snuffed it if I'm not careful." The council will also make a "Proclamation of Accession," to be read out on "Proclamation Day" soon after the death in London Edinburgh, Windsor, York, and other towns and villages throughout the country. WE, therefore, the Lords Spiritual and Temporal of this Realm, being here assisted with these His late Majesty's Privy Council, with representatives of other Members of the Commonwealth, with other Principal Gentlemen of Quality, with the Lord Mayor, Aldermen, and Citizens of London, do now hereby with one voice and Consent of Tongue and Heart publish and proclaim that the High and Mighty Princess Elizabeth Alexandra Mary is now, by the death of our late Sovereign of happy memory, become Queen Elizabeth the Second, by the Grace of God Queen of this Realm and of all Her other Realms and Territories, Head of the Commonwealth, Defender of the Faith, to whom Her lieges do acknowledge all Faith and constant Obedience with hearty and humble Affection, beseeching God by whom Kings and Queens do reign, to bless the Royal Princess Elizabeth the Second with long and happy Years to reign over us. Charles won't necessarily become "King Charles," however. Upon ascending to the Throne, royals may pick their "regnal" name from any of their Christian or middle names. Arthur Bousfield and Gary Toffoli write that when Queen Elizabeth II was asked, she opted for "my own of course — what else?" But if Prince Charles felt inclined to change, as Charles Philip Arthur George, he could also be "King Philip," "King Arthur," or "King George." The Queen's body will "lie in state"
As these discussions are ongoing, the Queen's coffin will be prepared to lie in state — that is, to be presented for public viewing so people can pay their respects. Before this, however, both Houses of Parliament will sit, or be recalled if necessary. Members will have the opportunity to take a new oath of allegiance to the new Monarch. All MPs must swear allegiance to the present Monarch — though some republican MPs will cross their fingers when making the 500-year-old oath. Members of both houses will also present addresses of condolences and loyalty to the new Sovereign, a House of Lords spokesperson told me, in a format that is yet to be determined. After this, both Houses will be suspended until after the official State Funeral. The Queen's body will lie in state in Westminster Hall. There will be a short ceremony to mark the coffin's arrival, after which the public will be able to file past and pay their respects. The Hall will be open all but a single hour a day for the duration, the spokesperson says. When the Queen Mother lay in state for three days, her grieving grandsons relieve the official guard to stand guard over the coffin for a short period; it was called the Vigil of the Princes. Something similar happened for George V. While not a formal ceremony, it's likely a similar act of remembrance would be accorded to Queen Elizabeth II. 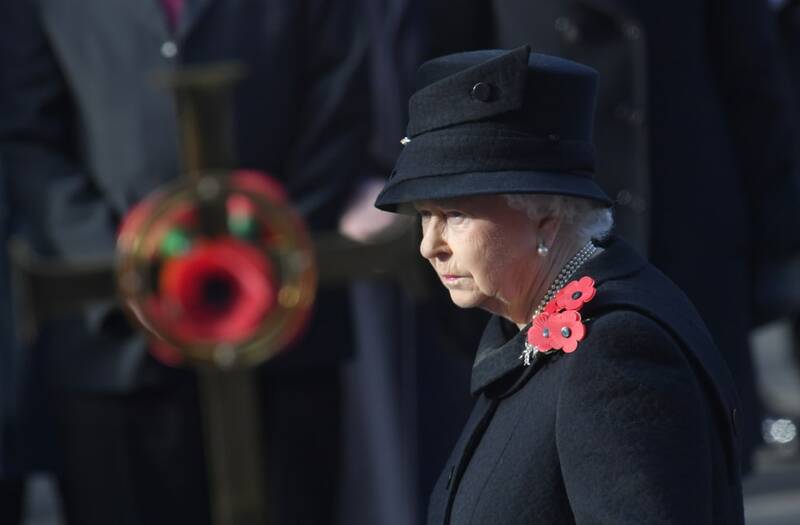 More than 200,000 members of the public paid their respects as the Queen Mother lay in state; the scale of mourning for the Queen should easily eclipse this. Throughout this period, there will be a massive, hysterical outpouring of public grief. It won't just be sombre dress and a minute of silence at sports games — it'll be a punch to the gut of the national psyche. When Princess Diana died, the public turned out in their tens of thousands to lay flowers outside Buckingham Palace — by some estimates as many as 1 million bouquets were left. A memorial appeal raised £20 million. People queued for ten hours or more to sign memorial books. "Everything closed, saturation TV coverage, no one at work" on the day of the funeral, recounted one witness to the BBC (despite it not being a national holiday). There were "scenes of unbelievable grief," said another: "It was as though all of these people had lost someone incredible dear to them and their emotion was genuine. It worried me hugely — especially after days of mounting hysteria on the streets of Kensington, people walking into the road blinded by tears, etc. — people appeared to be losing their grip on reality." The Guardian's Jonathan Freedland writes that many Britons felt "forced to close their shops or cancel sporting events on the day of the funeral, lest they feel the rage of the tear-stained hordes outside." Given the Queen's stature, and how intrinsically she is woven into the fabric of modern Britain, it's likely there will be even greater public mourning for her passing. Queen Elizabeth II's body will continue to lie in state until the day of the funeral, which will be a public holiday. The Daily Mail believes this will be 12 days after the death. The coffin will then be transported to Westminster Abbey by gun carriage for a State Funeral. It will probably be the best-attended funeral of all time. World leaders from across the globe will flock to attend. She's the most senior head of state in the world — on the throne for nearly 65 years. The service will be led by Justin Welby, the Archbishop of Canterbury and the second-most senior figure in the Church of England (after the Monarch). According to The Daily Beast, the Queen has been actively involved in planning parts of her funeral, and has a "sanguine" view of her mortality. On the day of Princess Diana's funeral, "more than a million people lined the route of the funeral cortege," according to the BBC, with 30 million Brits tuning in to watch it. Worldwide, there were as many as 2.5 billion viewers. The viewership of Queen Elizabeth II's funeral is likely to be equivalent, if not even more. What about the Queen's final resting place? Once the funeral is concluded, it'll be time for the burial. Queen Elizabeth II may well have already decided this — in which case it could either be Sandringham or Balmoral in Scotland. These two properties are unique in that they belong to the Queen in a personal capacity, rather than to the crown. Alternately, she could be buried at St. George's Chapel at Windsor, the site of the grave of King George VI — her father. After a certain appropriate period of mourning — up to a year or so — there will be a coronation. It's a highly ceremonial affair, although the new monarch technically has the ability to do whatever he wants — after all, he is already the King. Charles' authority as sovereign does not derive from the ceremony, so he could choose to eschew it altogether, should he desire. But assuming Charles does not wish to totally break with tradition, it will — again — be held at Westminster Abbey. And, again, it will be officiated by the Archbishop of Canterbury. The entire event will be broadcast on television (and also streamed online), and there will be parties up and down the country. After the Royal Wedding of Prince William and Catherine Middleton in 2011, there were thousands of street parties celebrating. The same will be true of the coronation. As a national holiday, the Royal Wedding in 2011 lost the economy between £1.2 and 6 billion, and the Coronation will be similar — in addition to the direct cost to the taxpayer of holding the largest British ceremonial event since the 1950s. The Queen buried, a new King on the throne... is that it? Of course not. There will be hundreds of changes taking place up and down the country in the weeks and months ahead. First off, new currency will begin being printed and minted immediately. The portraits of Charles will already have been made in preparation. They won't seek to replace the entire stock of currency overnight, however — it will take several years to do so, much like how older notes and coins are gradually removed from circulation today. Another unexpected change: Police will need new insignia on their helmets. They currently display the Queen's initials and regnal number. Likewise, a great deal of military insignia will require updating. Passports too will need a refresh. The British passport currently "requests and requires in the Name of Her Majesty all those whom it may concern to allow the bearer to pass freely without let or hindrance." Stamps will also need updating so that they show the new King's head rather than the Queen's. These small changes matter more than you would expect. After the current Queen was crowned, her regnal number — II — caused controversy in Scotland, which she also rules, as there was never a Scottish Elizabeth I. When postboxes bearing her cypher were erected in Scotland, some were attacked and vandalised. As signs of the Queen's reign are slowly erased, she will also be memorialised. The fourth plinth in Trafalgar Square is currently dedicated to temporary statues and works of art, but former London Mayor Ken Livingstone says his understanding is that "the fourth plinth is being reserved for Queen Elizabeth II." The Queen's passing may have far more profound and long-lasting consequences than just new postage stamps, however. It may well spell the end of the Commonwealth as we know it. The 53-country organisation includes 16 countries where the British Monarch is officially the Head of State, including Australia, Canada, Jamaica, New Zealand, and Barbados. It's a remnant of the British Empire which today exists mainly as a trade and political organisation. It has few formal powers but carries the weight of symbolism: Many of these countries were part of the Empire against their will, and almost all of them declared independence long ago. With Queen Elizabeth II out of the way, some may choose to end this union with Britain once and for all. Australia, for example, has already held a referendum on becoming a Republic once before, in 1999. It was a relatively close-run thing, with the republicans ultimately losing 45% to 55%. But much support for the Monarchy arguably derives from personal affection for the Queen herself. With her gone, many Commonwealth nations may decide the time has come to separate. In Canada, for example, there is speculation that the death of the Queen might prompt a severing of ties: "I think Charles might solve the problem," Ajax, Ontario mayor Steve Parish told The Guardian. This also depends on the time of the Queen's death. Many politicians in Commonwealth countries — like former Australian Prime Minister Tony Abbott — are staunch monarchists, certain to try and block any attempt at Republicanism on their watch. But if the Queen's passing comes when politicians less enamoured with the monarchy are in office, resurgent republicanism may find a more receptive audience. Depending on Charles' reign, republicanism may grow in prominence in Britain too. But there's no chance of Britain becoming a Republic in the near future. Support for the Monarch is deeply entrenched in the nation's psyche, with 66% of respondents in one survey saying Britain is better off as a Monarchy, and with just 17% opting for a Republic. On September 9, 2015, Queen Elizabeth II broke the record set by her great-great-grandmother, Queen Victoria, becoming the longest reigning British monarch ever. And in December 2016, in an apparent concession to her age, the Queen announced she is stepping down as patron of a number of organisations she has supported, including charities and academic institutions. Though her death is hopefully a long way off yet, it is definitely coming — and with it, the end of an epic chapter in Britain's history, and the start of a strange new one.